Creative Kids Need a Positive Outlet! We offer a variety of programs for kids ages 4 and up. Our younger students enjoy our creative drama program which incorporates creative movement, story enactment, theater games, music, imagination journeys, and more! Our musical theater program provides kids in grades 3 and up the opportunity to participate in full-scale productions while learning about rehearsal process, acting, singing, and dancing. Every enrolled child gets a part! Our bright, open, air-conditioned studio is located in Sandwich at 152 Route 6A. Eastham, conveniently located with close proximity to all that the Cape has to offer, is best known for its vast conservation lands, hiking, biking & kayak trails & one of the "Top Ten Beaches" in the country. 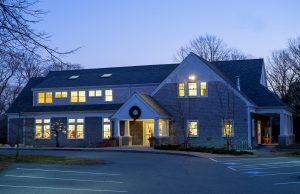 The Eastham Chamber of Commerce services residents & visitors to Eastham, the Cape Cod National Seashore, as well as Cape Cod, at our Visitor Information Center, which is open from late May through mid-October (1700 State Highway, 508-255-3444), as well as our year-round office. THE 1869 SCHOOLHOUSE MUSEUM displays of facets of the town’s history and includes a “hands on” schoolroom for children of all ages to sit at the desks read the books, write on slates and “play school.” Hours: July – August, Tuesday, Wednesday, 1 – 4 p.m. Thursday, Friday 10 a.m. – 4p.m. THE SWIFT-DALEY HOUSE built in 1741, and the Tool Museum and Gift Shoppe will be closed for restoration this Spring. Check web for reopening. Preserving Eastham’s Past for Eastham’s Future The Society is celebrating it’s 50th year this year. Please check our website www.easthamhistorical.org for all upcoming events. The Eastham Historical Society easthamhistorical.org easthamhistorical@verizon.net The society conducts an active year-round program: a Spring Plant, White Elephant Sale at the Schoolhouse, a July 4th celebration at the Schoolhouse,an August Antique Show on the Windmill Green, a periodic lecture series and a quarterly newsletter. THE 1869 SCHOOLHOUSE MUSEUM displays of facets of the town’s history and includes a “hands on” schoolroom for children of all ages to sit at the desks read the books, write on slates and “play school.” THE SWIFT-DALEY HOUSE built in 1741, and the Tool Museum and Gift Shoppe will be closed for restoration this Spring. Check web for reopening. The Historical Society Archives are housed at the Eastham Public Library and are open Tuesdays 1 p.m. – 4 p.m. or by appointment. Eastham Painters Guild– holds outdoor art shows at the Eastham Historical Society's Schoolhouse Museum lawn directly across from the National Seashore's Salt Pond Visitors' Center. Our shows are every Thursday and Friday in July and August and at the Town Hall on Windmill Weekend. EPG is pleased to present a $1,000 scholarship to a student from Nauset High School who will be pursuing art as a career. The Guild's first show was in 1980 on the lawn of the Eastham Library. Look for our white tents and market umbrellas this summer to see and purchase some of the best original art on Cape Cod! *Eventide Arts is a 501(c)3 independent organization that presents plays, concerts, lectures, and mixed media events to promote the understanding of social diversity, music, dance, and the art of playwriting and songwriting. “We provide an encouraging, supportive environment for actors, songwriters and playwrights leading to excellent, creative, and thought-provoking performances that stimulate and educate Cape audiences of all ages.” Eventide Arts, Inc. has sponsored issue-oriented cultural events and performances by local artists since former Dennis Union Church (DUC) music director, Noel Tipton, founded the group in 1998. His goal was to bring concerts, plays and arts-related lectures to Dennis using the performance space, the Gertrude Lawrence Stage, at the DUC fellowship hall. The Gertrude Lawrence Stage, Eventide’s home, was built and named in 1954 in memory of famed stage actress Gertrude Lawrence. Lawrence, wife to Richard Aldrich, a producer/director of the Dennis Playhouse, lived in Dennis when not performing and was active around town and at the DUC. Eventide Arts has since become separate in all respects from the church as an incorporated non-profit artistic company. The Company maintains a close relationship with and is indebted to the DUC for allowing it to use the space. Eventide Arts has, over the years, upgraded the stage curtains, the lighting and sound systems and recently teamed up with the DUC to purchase comfortable upholstered armchairs for the Fellowship Hall/Gertrude Lawrence Stage performances. 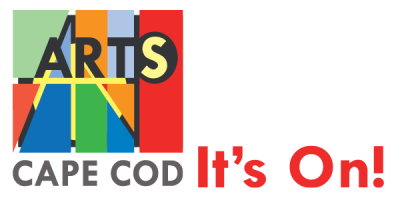 Eventide Arts produces three full stage productions per season, along with two concerts or performances by “Voices of Cape Cod” and sponsors a songwriting and playwriting contest. The songwriting contest features a performance and the playwriting contest features two staged readings. The Company is committed to producing thought-provoking theatre and entertainment that will stir and engage the community. 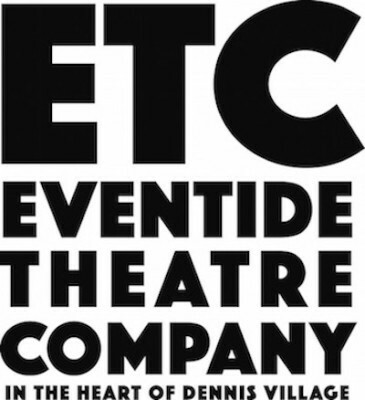 Eventide’s growing reputation for producing high quality entertainment has brought thousands of people, Cape-wide and beyond, to watch and participate in outstanding community theatre. As a community art center, the Falmouth Artists Guild welcome people of all ages and abilities, members and non-members, to take classes and to submit artwork to our exhibitions. Our galleries are open to the public without charge, seven days a week, 51 weeks a year, and serve year-around residents, summer visitors and tourists. Founded in 1966, the Guild has undergone a major transformation since it moved into its new Art Center in May 2009. The number of students, classes, exhibitors, members, and visitors has doubled. Visitors alone have gone from a mere handful to over 7,000, and we now exhibit approximately 1,500 works of art in 24 separate exhibitions a year. Falmouth is a sea-side town of eight unique villages; a historical Cape Cod summer resort destination, and a vibrant, year-round community. You will easily find great accommodations, activities and restaurants, and some of the loveliest scenery in New England. With 68 stunning miles of Coastline, Falmouth is the perfect place for those who love the sea. Falmouth is well known for its beautiful beaches and the warm waters of Buzzards Bay and Vineyard Sound; Martha’s Vineyard is just a short ferry-ride away. Welcome to Falmouth, where surf and sun meet for fun! 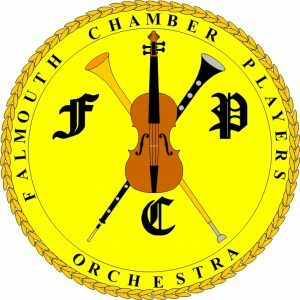 Falmouth Chamber Players Orchestra is a volunteer orchestra committed to the playing and performance of classical instrumental music with an emphasis on historical chamber and orchestral works from the Baroque through the Romantic periods. 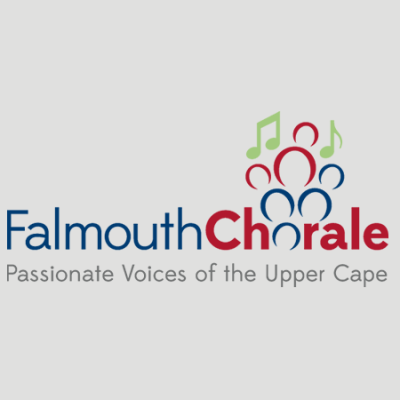 Today the Falmouth Chorale is composed of about 100 active singers, 16 of whom sing in the Chamber Chorale at community and private events. The Chorale is a group of ardent singers who love singing choral music and who want to improve their individual competencies and experience the joy of ensemble singing. Falmouth Chorale members are your friends and neighbors, which makes the uplifting concert experiences all the more personal for audiences on the Upper Cape. FIAT LUX ARTIBUS means “Let there be the Light of the Arts” or “Let there be Light through the Arts”. The creative and artistic endeavor is profoundly linked to the spiritual. FIAT LUX ARTIBUS seeks to recover the deeper significance and purpose of art; to reclaim its sublimity, transcendence and beauty as valid and essential foundations to the world of art today. The Fine Arts Work Center in Provincetown is a nonprofit organization dedicated to encouraging the growth and development of emerging visual artists and writers and to restoring the year-round vitality of the historic art colony of Provincetown. The Work Center is internationally known for it acclaimed 7-month residency program granting fellowships to 20 emerging writers and artists, as well as its open enrollment Summer Workshop Program, an online writing program 24PearlStreet, and an extensive series of year-round cultural events and exhibitions. Come join us for First Night Chatham 2015! We are a family-friendly, alcohol free, town-wide celebration of the arts with over 70 performances and events. Boston wedding musicians, music for weddings and special events in New England, Greater Boston, Cape Cod, and Newport Rhode Island. Live Music for Weddings, Corporate Events, and Special Occasions Custom live music from soloists to 10-pieces, for corporate, private, political, and charitable events. Swing, Society, and Classic Rock for Listening, Dancing, or Both. For the Client who can appreciate the difference. Gallery 31 is an artist owned gallery displaying the fine art of nine local artists. Gallery 31 was established in 2000 by a group of nine local artists at the current site, an historic building (circa 1880) that originally housed the Orleans Post Office. Gallery Antonia, beginning its fourth year this summer, is located in the heart of Chatham’s historic shopping district. Owner Domonic Boreffi credits the success of his gallery to the stable of award winning artists from Cape Cod and around the region. Many of the gallery artists are affiliated with the prestigious Copley Society in Boston and the Salmagundi Club in New York City. Gallery Antonia is open year-round and specializes in residential art consulting. 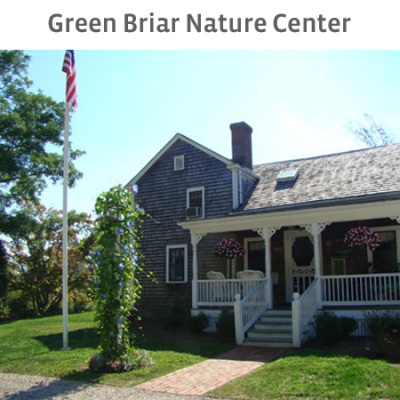 At the Green Briar Nature Center, you will find a quiet corner of Cape Cod – a sanctuary of peace and beauty in all seasons. Located on the shores of Smiling Pool and adjacent to the famous Briar Patch of Thornton Burgess’s stories, Green Briar offers interpreted nature trails and a spectacular wild flower garden. Natural history programs for children and adults are offered year-round and include classes, field trips, guided walks, and workshops on the natural sciences. We also have our very popular nature-related birthday parties. Outreach programs to area schools and other institutions are also an important part of Green Briar’s services to the community. Members of the education staff visit schools, nursing homes and clubs offering slide presentations, lectures and classes. Green Briar is also the home of the Green Briar Jam Kitchen. Ever since Ida Putnam began the Jam Kitchen in 1903, visitors have come to Green Briar to savor the aromas of fresh fruits cooking on the stove or in the heat of the sun. Today the Jam Kitchen is a “living museum” where visitors may view the cooking process first-hand. The kitchen still operates using Ida’s recipes and preparing the jams, jellies, relishes and pickles the “old fashioned way” in the turn-of-the-century kitchen. Green Briar’s sun-cooked preserves are cooked slowly and gently in the oldest commercial solar-cooking operation in the country. They make mouth-watering toppings for ice cream or desserts.